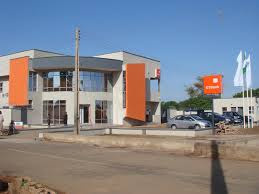 Officers of the Liberia National Police have arrested Mr. Ayodeji Bejide, managing director of Guaranty Trust Bank (GTBank) in Liberia on the charge of physical assault against an employee of the bank, Mr. Edward Freeman. Mr Edward sustain severity of the wound while on active duty, police will subsequently charge Bejide to court. On Tuesday, August 28, 2018, a Facebook showing Mr. Freeman bleeding from his lips in Bejide’s office went viral. In the video, Freeman accused Bejide of throwing a calculator at him and wounding him. The alleged assault was not captured in the video. GT Bank Liberia managing director, Ayodeji Bejide, injured employee Edward Freeman by throwing a calculator at him, drawing blood from his lips. After allegedly meting out the injuries on the employee, Bejide was heard in the video telling him to calm down, threatening to dismiss him if he made any further comment. An agitated and aggressive Freeman is seen making allegations in the video and accusing Bejide of assaulting him and not being a good boss.